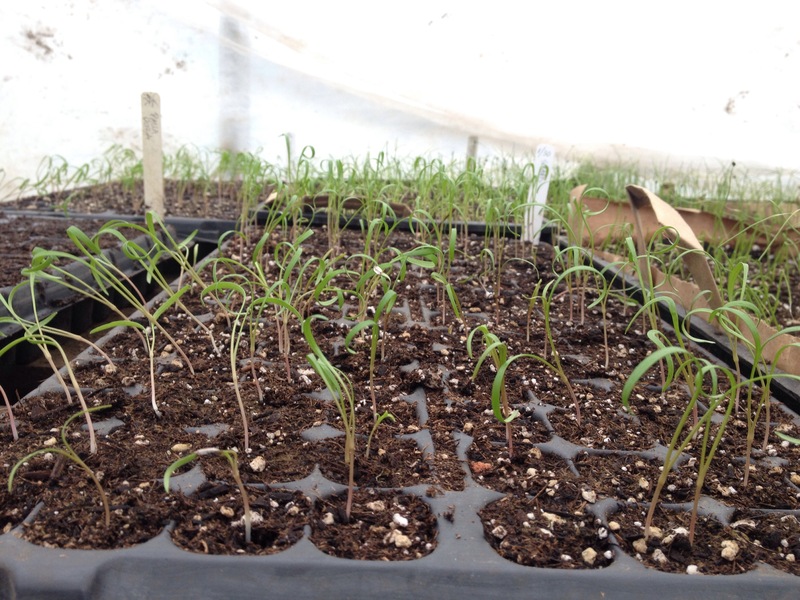 Just writing with a quick update on what’s going on in the greenhouse these days: early transplant seeding. There are a few improvements to my seed starting system this year: remay to cover the germination table and a better hand watering attachment for the hose – a Fogg-it mister which is provides a very gentle fine mist so as not to disturb the potting soil. So far I’ve seeded leeks, bulb onions, shallots, cippolinis, parsley, celery, celeriac, fennel, and swiss chard. Here are a few photos with explanations to give you a sense of how things are progressing. 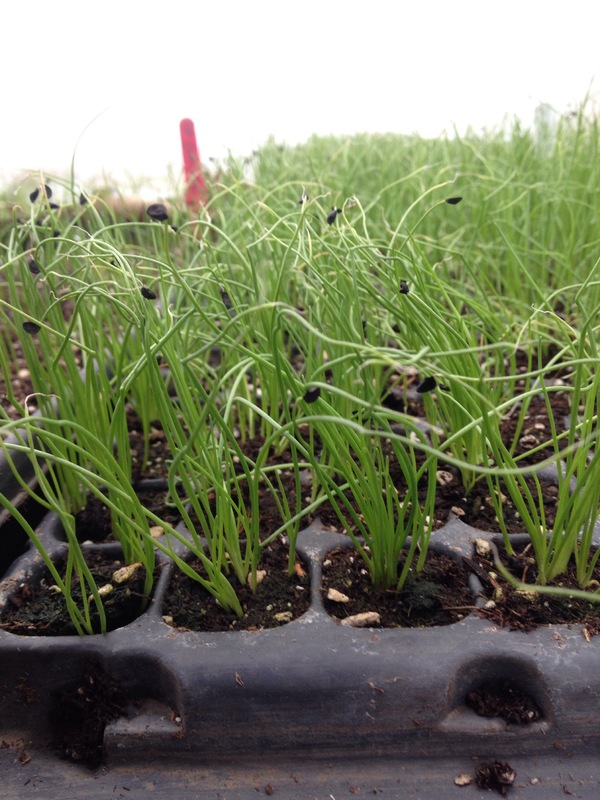 Little fennel starts on the go! Green onions! You can see the skin of the seeds still on the ends of the stalks. 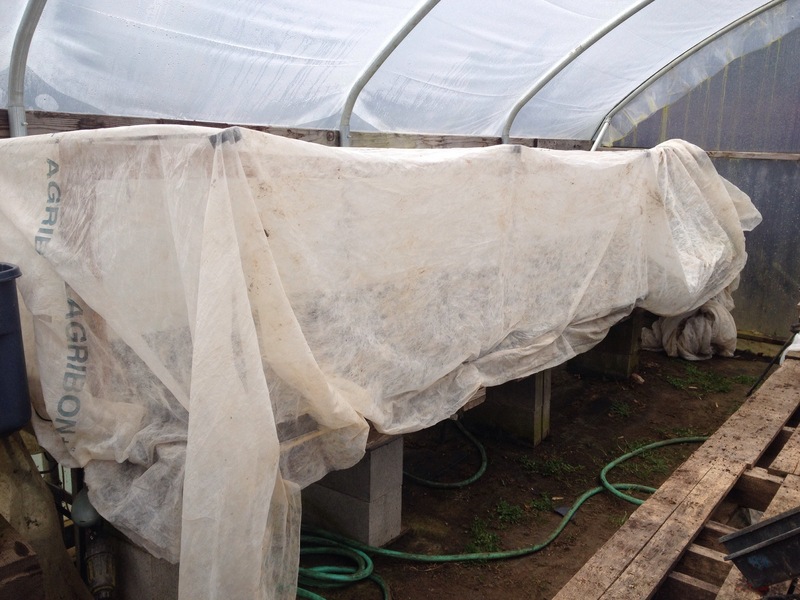 This is the germination table, covered by remay to retain extra heat as seeds germinate and get going. There are a few heat mats that provide bottom heat to the trays just after they are seeded for a few days to a week. This helps them get a quick and vigorous start. 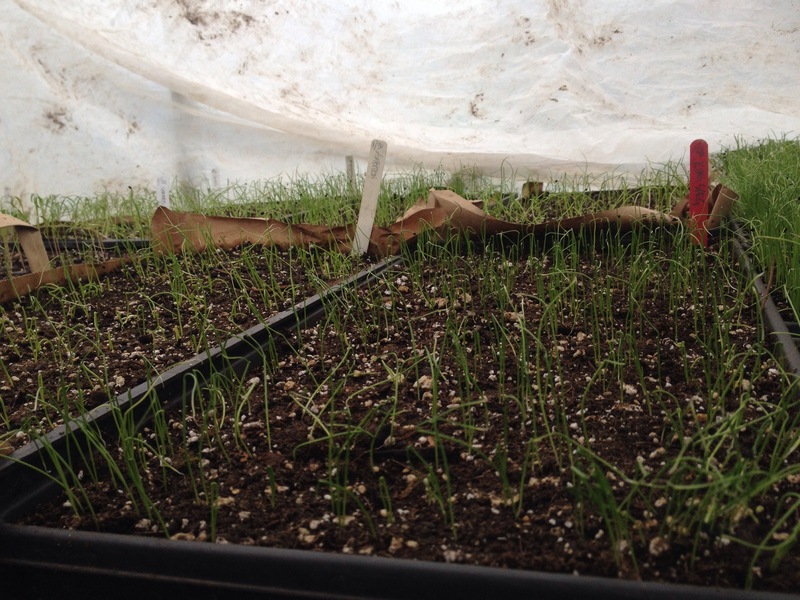 Above, bulb onions, leeks, shallots, cippolinis… all your lovely alliums to be. I’ll try to keep updating the blog here and there throughout the winter and spring so you can stay current with the farm’s progress! Here’s to some yummy future veggies. – Farmer (and new papa) Matt.